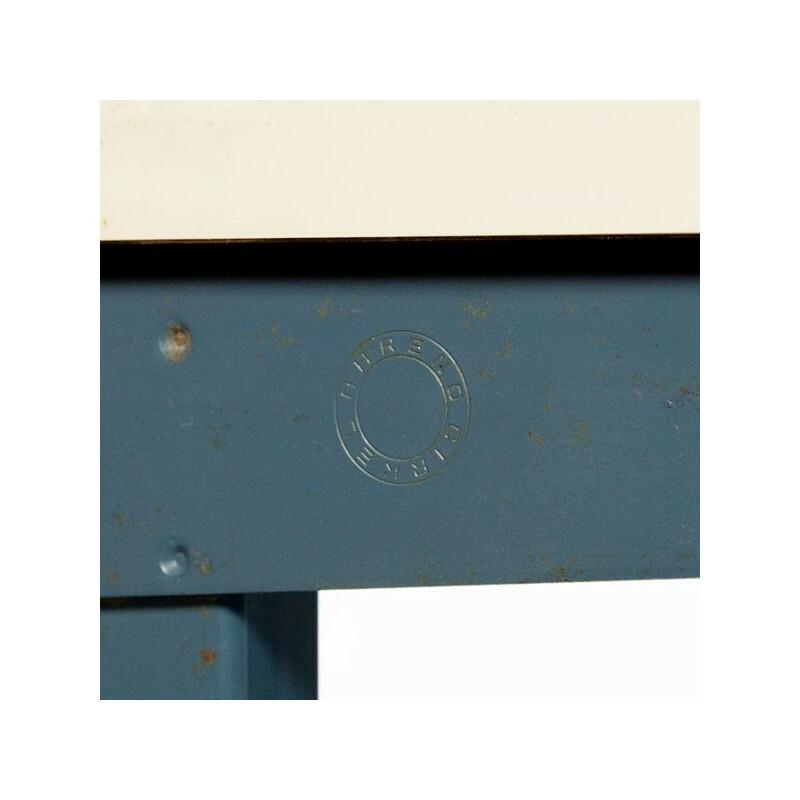 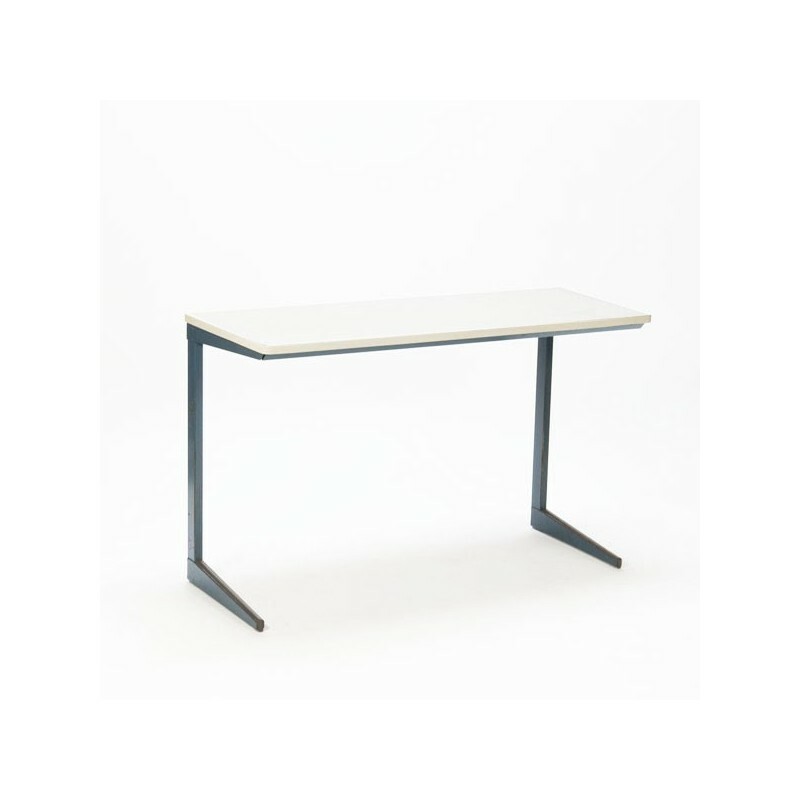 Vintage school desk / table, also called Result desk, designed by Friso Kramer for Ahrend the Cirkel in thesixties. 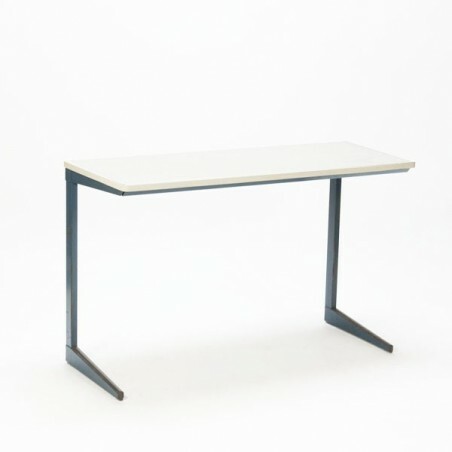 The desk has a formica top and a blue frame. 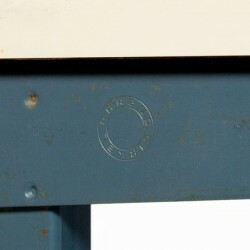 The condition is fairly good considering the age, the base hassome oxidation, see the detailed pictures. The size is 120 cm L / 50 cm W / 75 cm H.